Comments: This clump forming perennial dies down in winter and returns in spring. Leave some of the previous years stems so they can be located and not damaged when spring gardening activity begins. 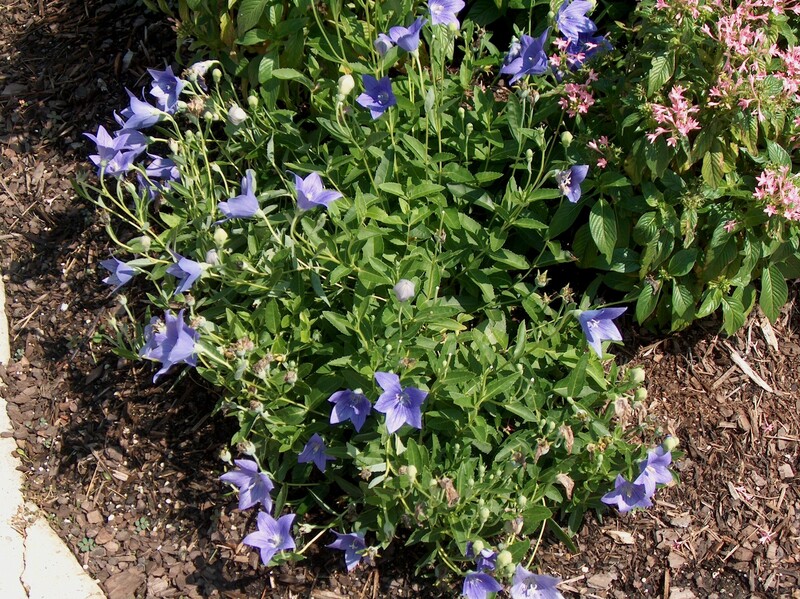 Upward facing flower buds expand like a hot air balloon prior to opening and thus its name "Balloon Flower."